I bought this book myself! As always, my reviews are fair and unbiased. You may think this is some YA Romance with cliche written all over it, but let me tell you, you're so wrong. 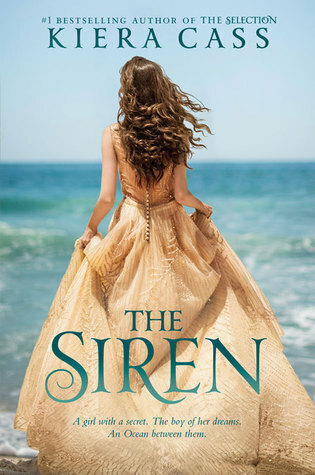 This isn't a "Love Story" or some hyped-up Disney movie, it's elements work perfectly together to tell the story of Kahlen, the boy she tries so hard not to fall in love with, but does because he's, well, the perfect YA boy, and the Siren's who become her sisters, friends and greatest confidants. Oh, and the Ocean - because the Ocean is a she, and sometimes, she get's hungry. Sometimes the only thing for that hunger is human lives. Kahlen was destined to die, and sometimes, she wonders what life would have been like if she had never been saved and turned into a Siren; beautifully striking, yet deadly and rottenly poison-tongued. She wonders what life would have been like if she had grown up, had a family, and eventually like the end of every life, die. But she never got the chance to do any of that when the Ocean saved her. Now, she's the Ocean's favourite. She does as she is told, and when called upon, sings the song that pains her to do so. The song to lure humans to their death so that the Ocean won't go hungry. She does this with the other Siren's, the ones who's faces change over the years as they reach the end of their Siren commitments and are cast into human lives once more. Kahlen has always been more reserved, but when she meets Akinli, her world gets a little brighter. He's charming and boyish and loves the same things as her. They have a slow-burning connection that yes, in a way does remind me of a Disney movie but not in the cliche way. Instead, in the classics kind of way. But she knows that the Siren world is to dark for him to be in. She can't say those words to him, because she can't say anything. She knows her tongue is tied with death. For a long time, she pushes him away and tries to keep her distance, the pain seeping through her life that she can't be with the person that she had grown to love. But soon enough when they meet again, it's hard to say goodbye and even harder to realise that she can't possibly understand what will happen. The Siren was brilliant. It was one of those books that seemed to just fly by. It's not a huge book, so I expected to finish it quite fast but the more that I started to reach the end, I just didn't want the story to end. I wanted adventure! More Siren stories! I wanted to know more about this crazy-scary-amazing world that Kiera had created underneath the surface of the water. Ultimately, The Siren is about more than just love. It's about sisterhood, friendship, a strong connection with our true selves and the power of soulmates. YA readers who love fantasy and mythology. Have you read The Siren? Let me know by selecting a choice below or on twitter @LittleMemoirs! I love to connect with book lovers!